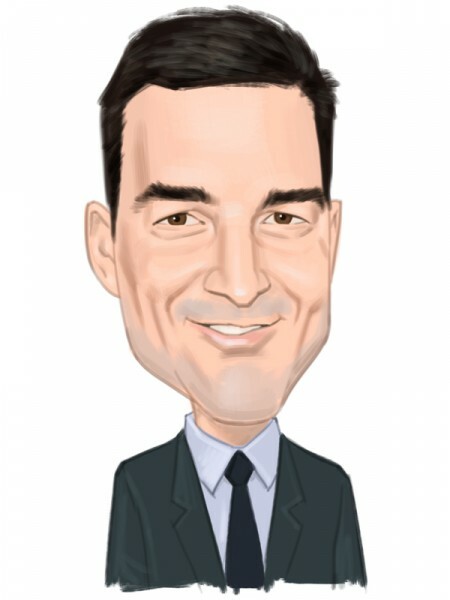 When it comes to activist investing, Dan Loeb is one of the best in the business, generating strong returns through pushing companies to implement changes that maximize shareholder value. However, Third Point was not spared in the third quarter as the broader market was heavily dented due to concerns over a slowdown of the Chinese economy and uncertainty regarding an interest rate hike. Loeb’s firm saw its Offshore Fund lose nearly 9% during the quarter and underperform the S&P 500 by 2.5 percentage points. Year-to-date the situation is a bit better, but the fund is still 4.5% in the red, compared to the benchmark’s 5.3% drop. However, the fund’s lifetime performance is still strong, with annualized gains of 16.2% since inception. In his letter to investors for the third quarter, Loeb said that he is still bullish on the companies whose shares Third Point holds. The investor says that there are no indicators of an approaching recession in the U.S and that there still are some interesting opportunities for investing in stocks. Moreover, Third Point is also shorting many stocks, as Loeb said the fund has more short positions than long holdings. “We have reduced our net exposure by nearly a third through sales and new shorts over the past few months while maintaining significant positions in our highest conviction, event-rich names. The conviction to keep and add to our core healthcare names during the selloff enabled us to re-establish ourselves on positive footing this month,” the letter added. We follow Third Point alongside over 730 other funds as part of our small-cap strategy, which involves imitating the 15 most popular small-caps among these funds and which has returned 102% since August 2012, outperforming the S&P 500 by over 53 percentage points (see more details here). Our research also allows us to determine the overall hedge fund sentiment towards several thousand stocks and see if the smart money sees long-term potential in these companies. Third Point first disclosed a new stake in Baxter International Inc (NYSE:BAX) in its 13F filing for the second quarter, reporting ownership of 4.85 million shares. Meanwhile, during the second quarter, the company lost some popularity among the funds from our database, as 39 reported long stakes in Baxter as of the end of June, versus 50 funds as of the end of March. In aggregate, those funds held 5.60% of the company’s outstanding stock on June 30. The stock lost 13% during the third quarter and it trades at a forward multiple of around 26.60, which is a bit high, but also shows that investors anticipate significant growth in the near future. In the current round of 13F filings, Mario Gabelli’s Gabelli Funds and GAMCO Investors disclosed holding 394,066 shares and 157,850 shares of Baxter International Inc (NYSE:BAX) as of the end of September, respectively. On the next page, we are going to look at how some top stock picks of Third Point performed in the previous quarter. Particularly, we will focus on Amgen, Inc. (NASDAQ:AMGN), Dow Chemical Co (NYSE:DOW), Allergan PLC (NYSE:AGN), and eBay Inc (NASDAQ:EBAY).